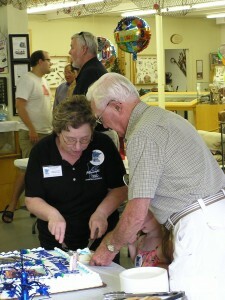 On July 21, I was at the Minnesota Fishing Museum in Little Falls to help celebrate Al Baert’s 90th birthday. Al is the museum’s founder and continues to be an important part of its operation. 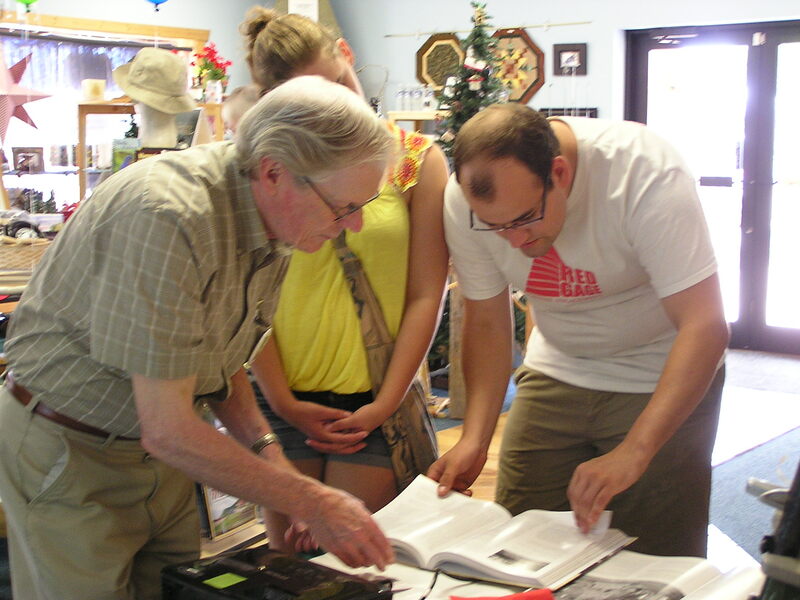 (He was also one of the four special persons endorsing my book.) 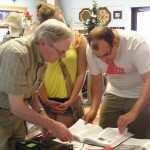 It is seldom that you see someone ninety years of age as spry and active as Al. 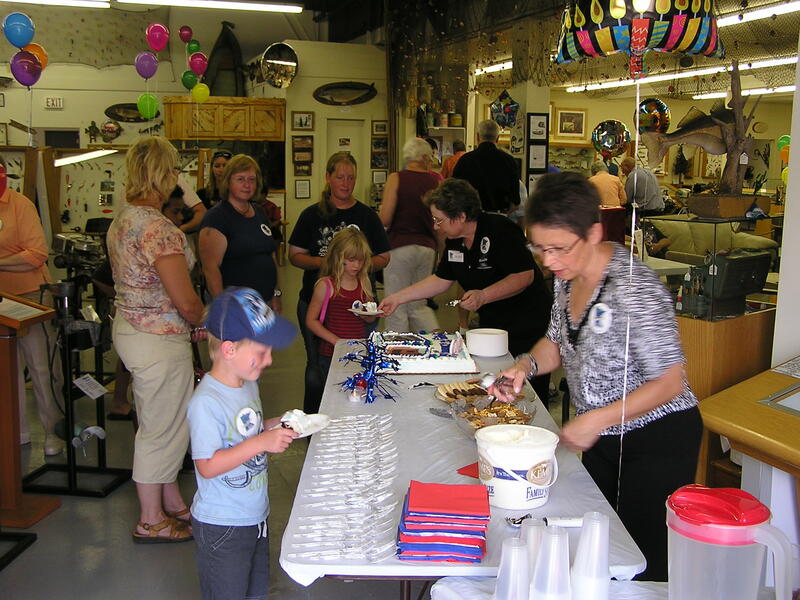 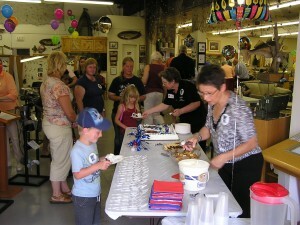 The event was well attended, with everyone enjoying displays, cake, ice cream, conversation, and prizes. 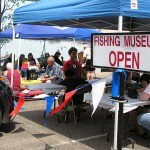 My books were on display, along with rotating slides of early resorts, fish, boats and tourists. 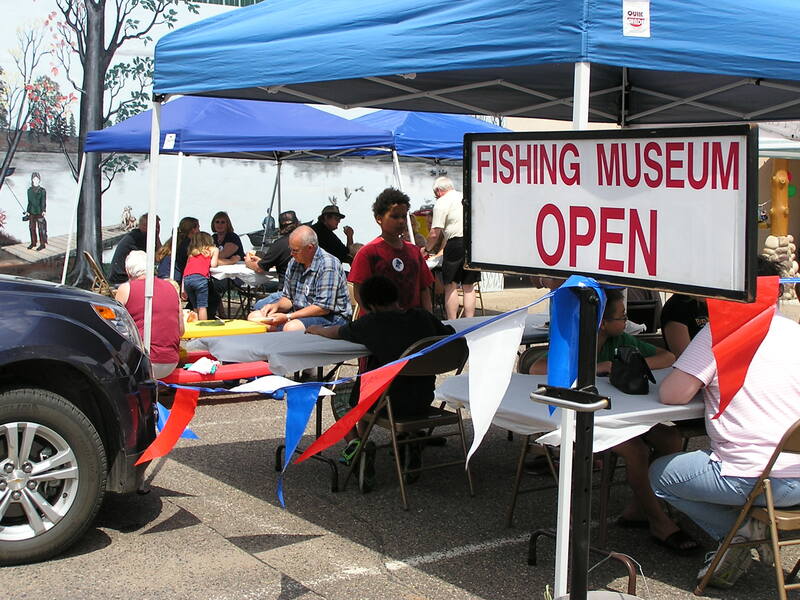 The Minnesota Fishing Museum holds a priceless collection of over 10,000 fishing antiques and memorabilia, all donated by individuals who have been part of the fishing history of Minnesota.